Musings of an ardent Knitter , Spinner , Dyer and Seamstress. Well I've started the New Year off with a small year long challenge . I've joined the 26 Pair A-Z Sock Challenge on Ravelry. 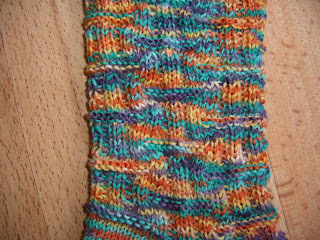 The aim is to knit 26 pairs of socks using patterns from A-Z in alphabetical order over the coming year . 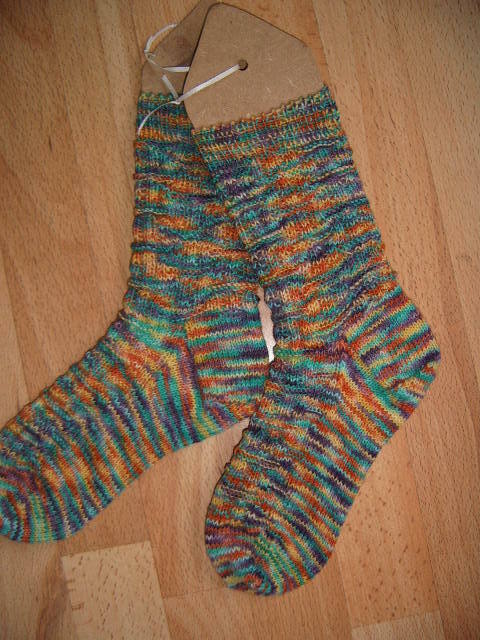 The pattern is Alda Road Socks by Tricia Welton-Hinkle available on Ravelry free . I'm afraid the pattern seems lost on the pics but in "real life " they look good . 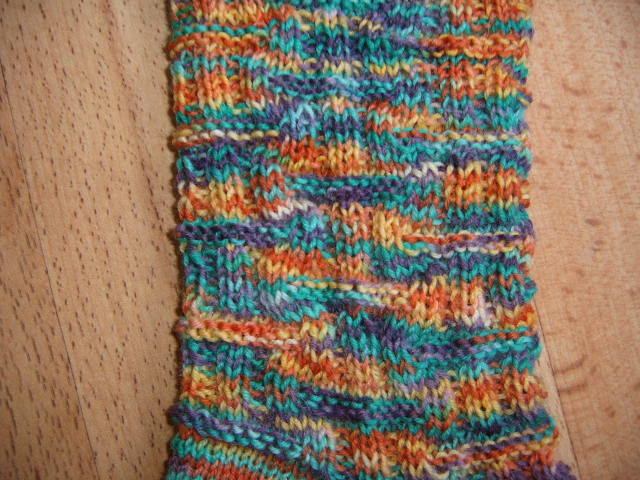 I'm looking forward to knitting up the other patterns I've chosen and it will keep my sock knitting cravings at bay. As you may have noticed in the side bar I have joined the millions who Tweet by joining Twitter . I'm trying to get my dyeing mojo back and have just taken delivery of some British Falkland Merino High Twist sock yarn . Phew that was a mouthful .It's gorgeous and soft and very sproingy . And I'm awaiting the arrival of some Sparkly Sock Yarn in early Feb .All should be ready in time for Wonderwool Wales in April . We've booked our hols as well . We are having a belated Ruby Wedding Anniversary treat and going to Seaton in Cornwall for two weeks in a luxury apartment here. Click here to link to shop . Little Tin Bird - The Little Tin Bird blog has now been discontinued. Thanks for visiting over the years. Wife to one ,Mother to four ,Grandma to six and twot hirds . Earstwhile Crafter trying to earn a living doing what I like best , creating things. Addicted Knitter and Spinner .Now dyeing my own yarns and fibres which I sell online and at fairs. Rain ,Rain, go away .